While adolescents are generally healthy, mental health and substance abuse issues can greatly impact their lives and future employment, relationships, and overall well-being. Michigan teens ranked above the national average for depression symptoms and suicidal thoughts, according to the U.S. Department of Health and Human Services. The Community Foundation has a long history of supporting the growth and development of young people and youth-focused organizations. In 2017, for example, Vista Maria, a Dearborn Heights residential treatment center for girls, launched the Intensive Aftercare Program to help girls transition to their home environments after receiving mental health treatment. The effort was funded by a grant from the Community Foundation’s Detroit Auto Dealers Association Charitable Foundation Fund. Girls graduating from Vista Maria’s treatment program often struggle when they return to unsupportive environments where they may not have the resources to stay in touch with Vista Maria staff. These and other factors frequently contribute to girls often returning to treatment instead of successfully reintegrating into their homes. The goal of Vista Maria’s Intensive Aftercare Program is to reverse this trend, focusing on strengthening the relationship between the girls, their families, therapists, and program staff. In its first year, the program provided 67 girls with services such as mental health counseling and educational and employment support. Early numbers show more girls stayed in school, obtained jobs, and remained arrest-free after the program was implemented. Another Community Foundation-funded effort addressing teen mental health is one that expanded a crisis text messaging and online chat helpline at the 24-hour crisis services agency Common Ground in Oakland County. Common Ground reaches more than 80,000 individuals per year with suicidal thoughts, depression, and issues resulting from dating/domestic violence and human trafficking. The crisis helpline’s goal is to lower anxiety related to crisis. Common Ground began providing crisis support through web chats in 2012 and through text messaging in 2013. 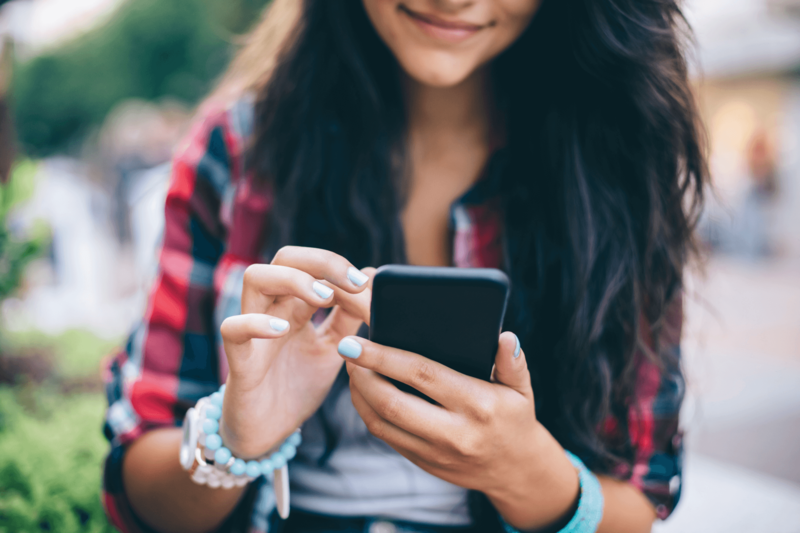 The Community Foundation recently funded a request to help expand its hours in order to reach more young people who prefer receiving counseling online or via text. Common Ground’s research shows its reach will increase to 15,000 text and chat messages with the expansion of this program. The service was expanded from 4–10 p.m. Monday through Friday to 4 p.m. to 2 a.m. daily, including holidays and weekends. The Community Foundation is proud to support organizations such as Vista Maria and Common Ground, which are having a positive impact on teens in our region.